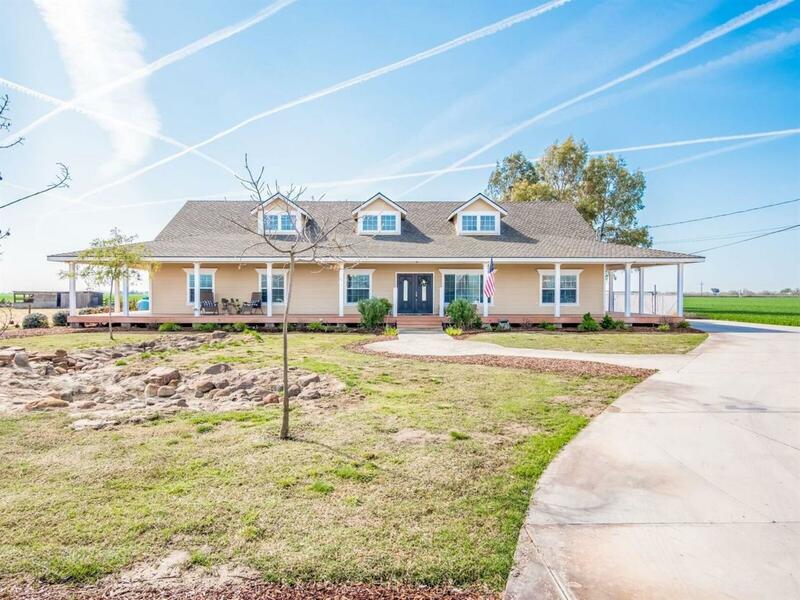 Classic Country Charmer on 2.5 Acres with a shop!Fully remodeled 3BD 2.5BA. Home with a 4th bedroom option that can also be used as an office!Inside features include: Engineered Hardwood Flooring throughout, Kitchen Island, Granite Counter tops, Stainless Steel appiances, Beautiful Fireplace in Family Room, Indoor Laundry Room, Jetted Tub & Walk-in Shower in Master Bath, and Much more! Outside offers RV parking, a 90x20 shop, and a pasteur! Separate Ag Power that controls Well, Shop & Pasteur. Don't miss out on this great rural opportunity! Listing provided courtesy of Jason Moreno of Keller Williams Realty - Kings County.